Trust all is well by beloved Baba’s grace. 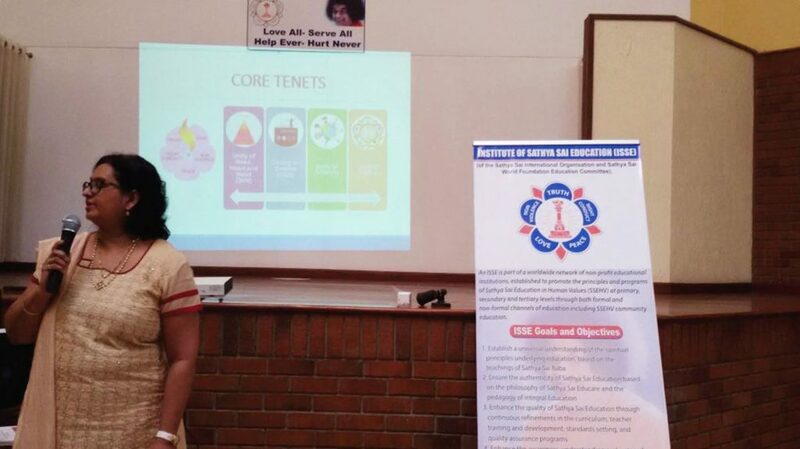 We are pleased to report that a residential SSEHV teacher training course (introductory level 1), was held at Sathya Sai School – Kisaju from 3rd to 7th April 2017. Kindly click this link to read full report (6 MB). 27 teachers from Sathya Sai Schools in Kisaju and Uthiru along with Sai Seva School – Kawengware, attended. Sis. Lalini Reddy from the South African Sathya Sai Institute accompanied by Bro. Pat Reddy conducted this training. Teachers learnt various teaching techniques in order to attain academic excellence in both secular and spiritual fields with practical applications in life. During the opening session District Education Officer acknowledge that the Sathya Sai Education model is panacea for present crisis in the education sector, having keenly observed the positive transformation in students’ character and academic performance by Kisaju School for some years. Area chief praised the Sathya Sai School – Kisaju fraternity for transforming the students with good character and for schools’ outreach programme to help the needy in the district by serving and caring various senior citizens with food hampers, clothes and wheelchairs. Evenings were saturated with love, whereby students entertained all with traditional dances, value based drama, skits, including sharing their experiences. We are indeed indebted to beloved Baba for sending Sis. Lalini Reddy from the South African Sathya Sai Institute accompanied by Bro. Pat Reddy, to conduct this training. "If wealth is lost, nothing is lost. If character is lost, all is lost."